For women, drawing attention to their ideas and successes at work can be tricky. Research shows that there are many reasons that women decide to stay behind the scenes or quietly push forward projects. 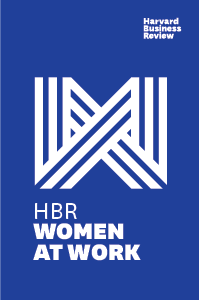 In a live taping of Harvard Business Review’s award-winning Women at Work podcast, hosts Amy Bernstein, Nicole Torres, and Amy Gallo; producer Amanda Kersey; and an expert guest Muriel Maignan Wilkins, managing partner and co-founder of Paravis Partners, talk about navigating the rewards and risks of being in the spotlight at work, offering tips for making visibility for women less of a dilemma. Women at Work episodes take on some of the knottiest problems women encounter in the workplace. The hosts interview experts on gender, explore research, tell stories, and give plenty of practical advice to help people succeed in spite of obstacles.